Karen Rubenfire brings in the harvest at the Project Healthy Community garden this fall. If you attended elementary school in Detroit’s Northwest neighborhood, the school bell is still ringing for you, but this time, to return as a volunteer. Three years after launching a successful afterschool tutoring and mentoring program at the Schulze Elementary Middle School at 10700 Santa Maria St., Project Healthy Community (PHC) will duplicate its efforts by starting a pilot program at Bagley Elementary School in January. The organization is now seeking Bagley alumni to come back to the old neighborhood and help improve reading and math literacy skills for the school’s most academically challenged children by becoming mentors and volunteers. The program will begin as a pilot with 12-15 students and will run four days a week from 3:45-6 p.m. PHC will host an open house for interested volunteers on Wednesday, Dec. 14, at Bagley. Project Healthy Community, an inter-community, interracial and interfaith-based nonprofit, was formed in 2012 to benefit the Northwest Detroit area. 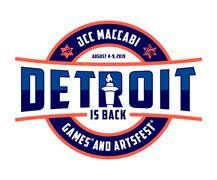 It is housed in the Northwest Activities Center (NWAC) in Detroit (a former Jewish Community Center). PHC was launched through a collaboration between Temple Israel’s Rabbi Josh Bennett and Dr. Melvyn Rubenfire, a former chairman of medicine at Sinai Hospital of Detroit. 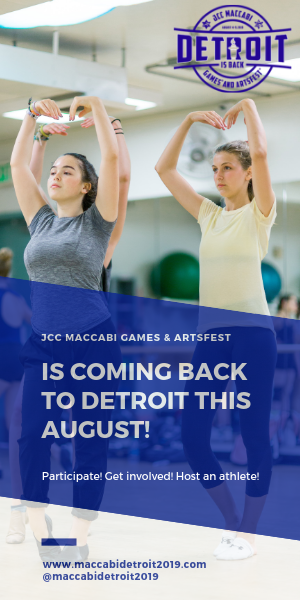 Each felt Temple Israel and others in the Jewish community could help Detroit by partnering with the NWAC to develop programs that would improve food availability, nutrition, education and health. 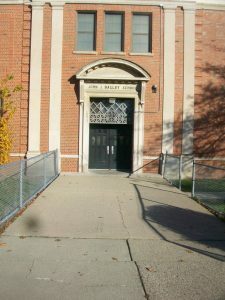 Bennett and Rubenfire formed partnerships with already-existing charitable organizations in the neighborhood, such as the NWAC and Hartford Memorial Baptist Church, to create initiatives such as coat and school uniform drives, the Foundations for Understanding Nutrition (FUN) pantry and the Blessings in a Backpack program. PHC recently hired Amina Iqbal as executive director. As the organization grows, Iqbal is looking to hire a director to oversee the two afterschool centers. When seeking volunteers, she says consistency is key. In 2013, the Rubenfire family began to concentrate their efforts in creating after-school tutoring programs at the elementary school level. For the past three years, PHC has run a program at Schulze where 30 students in grades K-5 designated by their teachers to be the most academically vulnerable meet with volunteer tutors four afternoons a week. Volunteers — some with backgrounds in education, social work or therapy — work closely with teachers to instill in the children good study habits and improve their reading and math skills. After finishing their homework, children are provided with dinner before heading home. PHC has also developed a close partnership with Marygrove College, where students have come to work with the children. So far, the PHC tutoring initiatives have attracted the attention of several notable alumni such as recently retired WDIV-TV newscaster Carmen Harlan. It costs PHC $1,200 per student to run the program, said Karen Rubenfire, LMSW, director of programming and community outreach for PHC. Funding comes from individual private donations. Families are also charged $5 per week for their child to participate. “Getting some financial buy-in from the parents helps ensure parents are committed to the program and their child’s success,” Rubenfire said. Of the total student body of 387 children at Bagley, 253 are recognized as economically disadvantaged and 51 have learning disabilities, according to a 2015-2016 profile report from Detroit Public Schools. In some areas of testing, none of the students met state standards of performance in English language arts, math or social studies, according to Michigan Student Test of Educational Progress assessment results. But good things are under way, according to alumni. Classrooms are stocked with new books that challenge the children at various reading levels. Its classrooms have been renovated, and it has a staff of dedicated teachers and administrators. The school has a new principal who recognizes the positive impact an afterschool program can provide to the school’s most vulnerable students. Gary Alpert, 71, of West Bloomfield, who has been tutoring at Bagley over the last few years, vividly recalls his elementary school days when he was a student there in the 1950s. Alpert went on to teach business at McKenzie High School from 1967 to 1998. In 2013, he reconnected with other Bagley alumni at their 50th Mumford High School reunion. They raised some money and volunteered sporadically with children at Bagley, but a formal tutoring or mentoring afterschool program never got off the ground. 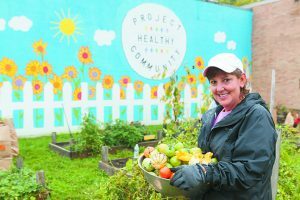 The Project Healthy Community volunteer open house will be from 3-4:30 p.m. Wednesday, Dec. 14, at Bagley School, 8100 Curtis St., Detroit. For details, visit www.projecthealthycommunity.org/volunteer or call (248) 892-4585.